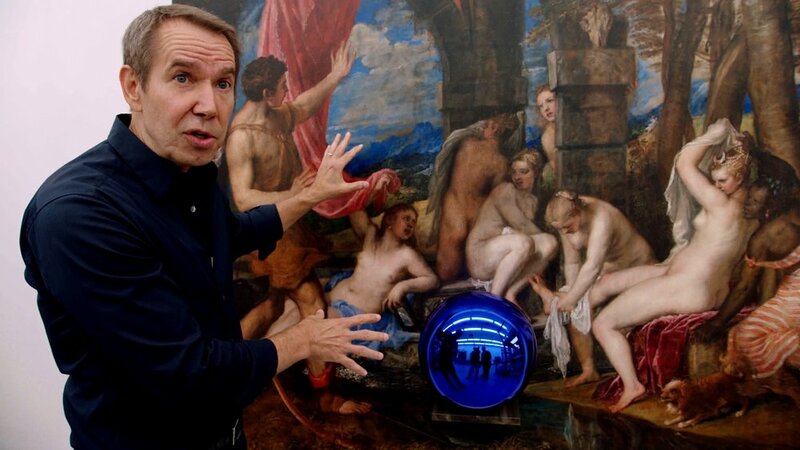 Artist Jeff Koons in front of one of his "Gazing Ball" paintings in The Price of Everything, directed by Nathaniel Kahn. Courtesy of HBO. 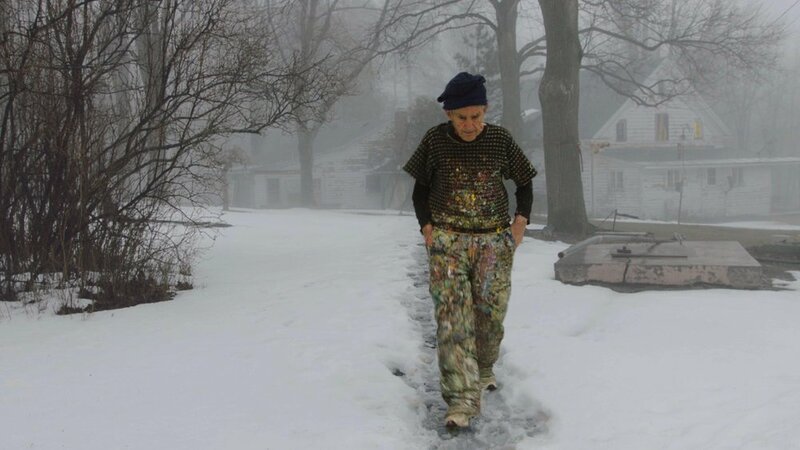 Painter Larry Poons walking to his studio in The Price of Everything, directed by Nathaniel Kahn. Courtesy of HBO. The Price of Everything is a comprehensive and clear-eyed documentary on the subject of the relation of art to commerce. To that end, we hear from collectors, curators, journalists, auctioneers and artists—from the wildly successful (Jeff Koons), to very successful (George Condo, Marilyn Minter) to those whom the market lost sight of (Larry Poons) and those just coming into view (Njideka Akunyili Crosby). It could not be more depressing. Koons’ hedge fund factory art which some collectors can’t get enough of is on full display. So is Poons’ neglected ramshackle self and barn. So is Amy Cappellazzo’s auction house sophistry, and Jerry Saltz’s I’ve-seen-it-all shrug. And Crosby’s face as she realizes a work of hers has topped 900,000 at auction—and she won’t see a cent of it. A Russian collector cries over her Hirst butterflies. Condo paints an entire painting as if he’s painting a fence while carrying on an interview. Between him and Koons and really the rest of the interviews with the possible exception of Crosby, the veil is entirely lifted so as to dispel any remaining magic we ever felt about artists or certainly the art world. The film is in direct contradiction to the artist’s panel I attended last week. It’s very important for good art to be expensive. If the gimmick owns you. it’s over. To be an effective collector, you have to be a decorator. Contemporary Art is a luxury brand. Kill me now. Or maybe the messengers? The producer of the film is Jennifer Blei Stockman, an art collector herself, former chair of the Guggenheim Board, once named ‘Republican Woman of the Year”. The director is Nathaniel Kahn, architect Louis Kahn’s son who once made the infinitely more marvelous and uplifting documentary about his father. The film opens theatrically this weekend in NY and then makes its way across the country to depress everyone else. A program at the 92nd Street Y on November 4th with some of the subjects is just more masochism if you ask me. On November 12th it hits HBO.